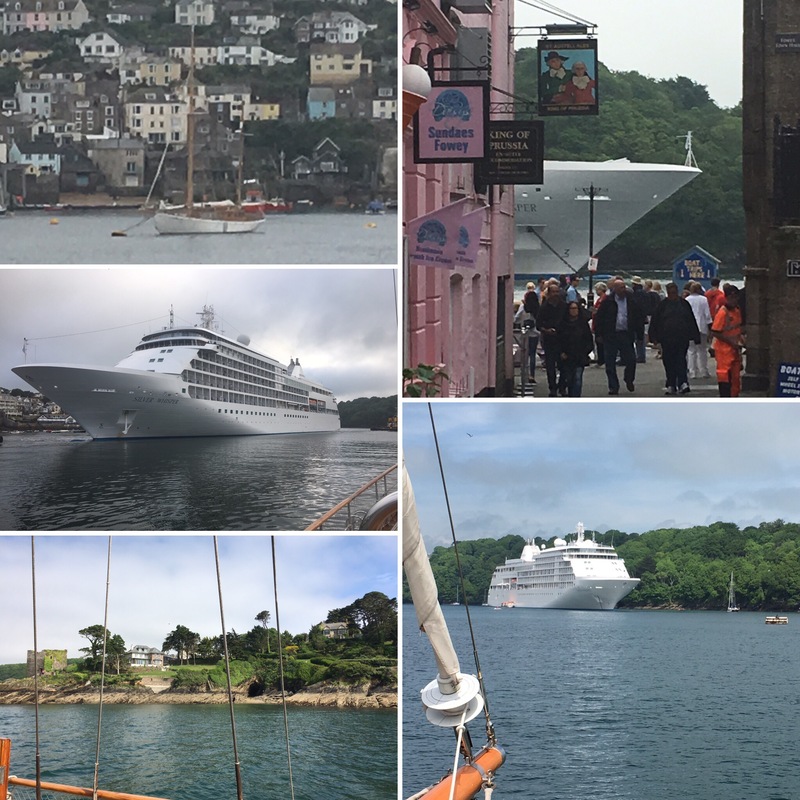 We sailed to Fowey in Cornwall on Wednesday and stayed for a night. 7am saw a cruise ship reversing up the river 20 feet from our port side. Fowey is a lovely town and we had a great stay with lots of useful boat practice thrown in.